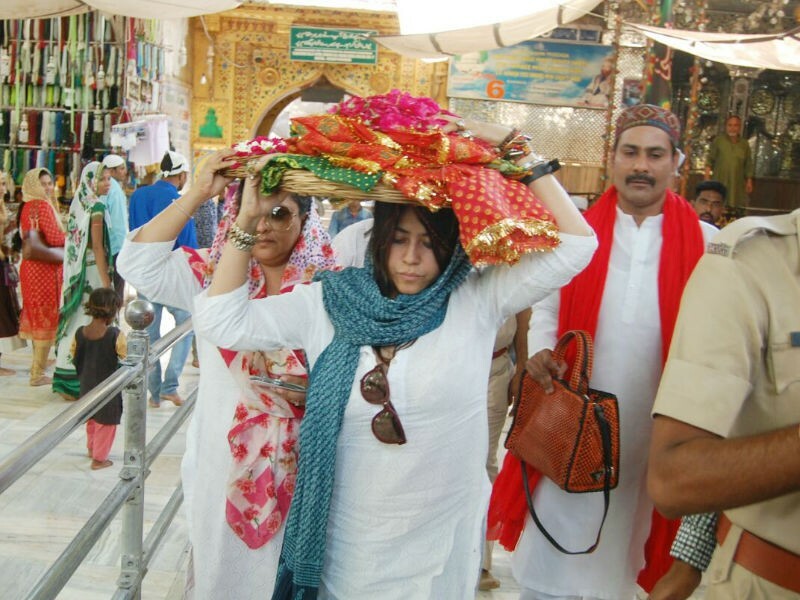 Filmmaker Ekta Kapoor, who has carved her niche in the entertainment industry visits Ajmer Sharif to seek blessings ahead of Veere Di Wedding's release week. The content queen not just sought blessing for her upcoming film but also for her television shows like Naagin 3 (Colors - launching 2nd June), Dil Hi Toh Hai (Coming Soon on Sony) and Qayamat Ki Raat (Coming soon on Star Plus). Ekta Kapoor has always been a staunch believer in god, and that has been visible by the way she takes to seek blessings before beginning anything new. In fact, there have been instances when she has walked all the way to the temple for the success of many of her shows. 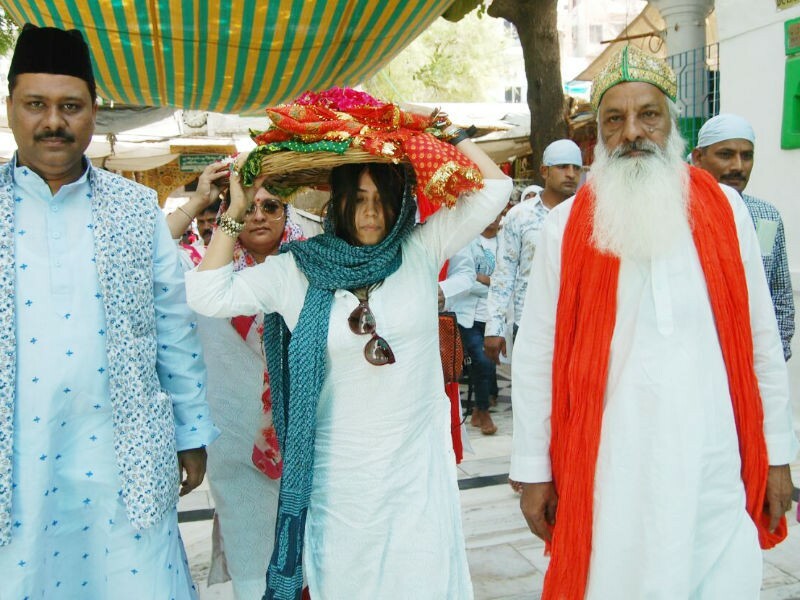 The pic showcases Ekta Kapoor making her way towards the Darga along with the priests. The filmmaker is seen carrying a religious thal which comprises of a Resham ki chaddar and flowers. Having been touted as the TRP queen, Ekta has set a benchmark when it comes to daily soaps. The filmmaker has not just treated the audience with Television contents but has also ventured into film space and digital industry. Her latest domain being the Digital platform, Ekta has tailor-made content for the online audience. She has her own digital video streaming service where she brings in content for the younger generation who doesn't watch television more and like watching content on their phones more. Ekta has been in the industry since she was only 19 years old and has achieved a milestone by herself.